Click here to visit or return to the main site. If you are here looking for the ways, methods and means on how to get organized, you've arrived at the right place! No matter where you are or how you live, getting organized often conjures up the fear of being forced into getting rid of acquired possessions and being stripped of all the treasures that make you unique. This is so very far from the truth! Perhaps you've decorated your home with refurbished antiques acquired from vacations, or inherited china and crystal, art, sculpture, music and memorabilia from family and friends. Your vision of pampering your paperwork and beloved clothing may have turned into an unmanageable mountain. Maybe technology is now torturing you? You are likely here because your needs have changed and perhaps you don't feel your treasures serve your interests anymore. You don't know what to keep or what to toss. Maybe the thought of being forced to get rid of these things makes you paralyzed? For a long time, you've wanted to get organized on your own terms and in your own way. But now you need help, where do you start? 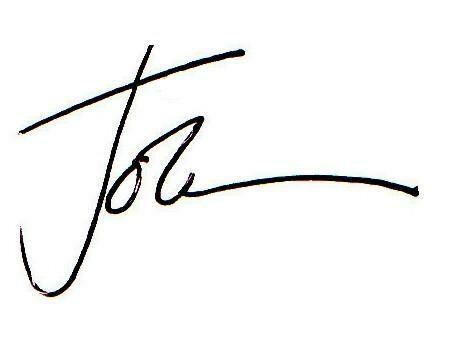 My name is John Trosko and I am owner and founder of OrganizingLA, a Los Angeles-based professional organization firm. Since 2004, our business is to take the time to really get to know you and your needs. We learn your personal goals and hobbies, come up with a time-table, and schedule short review sessions to help you assess and identify things you want to keep or not. We arrange for auctions, donations to your chosen charity or disposal. If you prefer to give your items to family or friends we can arrange for delivery. Our goal is not to be pushy; you are in charge the entire time. But we are light-hearted and work with you to apply subtle pressure that we both agree is just right. However, we will never force you to get rid of anything and you are in-charge the entire time. We will walk you through the process with friendly, gentle support so each and every time we work together, you will find relief and feel like you are moving toward your goal. During the clutter review process, we are delighted to help you organize your home, to set up systems to be more efficient, to make your friends and family more welcomed when they visit and to alleviate the burden you may feel with so many "treasures" needing your time and thought. We can shop for beautiful clothes hangers and functional storage boxes to hold your memories or utilize what you currently own (don't underestimate how clever we can be). We will label everything clearly and beautifully so everyone in your home can find what they need, when they need it. We will also provide training and a maintenance plan to keep the new systems up or schedule periodic visits and do it for you. And if relocation is in your future, just imagine how much easier and less stressful your next move will be! If you like what you are reading so far, save time by not having to check back again and again for our newest blog topics. Enter your email below and our posts will be delivered to your in-box as soon as they're published. "John Trosko is just a master at organizing whether it comes to what baskets you need, what shelves you need or how to deal with that clutter that just seems to be the bane of so many of our existences." "John came to the rescue and in just a few short hours, we were able to clear the clutter into manageable files. He left me with an organized system, clear instructions on how to minimize what was left, and the motivation to finish the job myself." "John Trosko is an extraordinary business consultant. He creates an environment where the process of organizing is simple, straightforward and stimulating. He far exceeded my expectations of an "organizer"!" "John Trosko and his team I sorted through boxes, tossed old files, re-stacked shelves, created offices systems for everything-- paying bills, filing, assembling new client folders, tracking marketing activities, and maintaining a database. The results were amazing. Suddenly I had much more time to actually generate revenues. Being organized made my efforts more efficient. My duties and responsibilities were handled in a timelier manner. I haven't lost track of people or paperwork since. And, I saved myself some money on late fees." My husband and I just relocated back to California from Texas and had boxes EVERYWHERE!!! John Trosko came in and within 2 days had our entire home organized. He is a miracle worker! What would have taken me 2-3 weeks, took John and his counterpart a fraction of the time. Moving into a smaller home, I was concerned that many of my things would need to go into storage, but because John was able to utilize the space to the best of its ability, every little item was able to find a home. I can’t him enough for taking this stress away!! "I am seated in my new studio/office you created, surrounded by a well-designed and efficient working space. The rest of my home is in equally superb shape. Each room is complete, beautifully arranged and functional. In addition, you invented clever solutions to a potential space problem, achieving more comfort and luxury than I had in my previous much-larger home. You accomplished one amazing feat after another in a fast, efficient and professional manner while continually ensuring my personal comfort. Thank you!" Founded in 2004 by Professional Organizer John Trosko, OrganizingLA is a Los Angeles-based service that organizes the time & space of busy Angelinos. OrganizingLA has become a premier Southern California organizing firm. We are known for creating excellent solutions and providing spectacular results in your home and home office. We specialize in organizing cabinets and cupboards, butler pantries, gift wrapping rooms, closets, office spaces, file systems, pantries, garages, home theaters, residential and office relocations, home procedure manuals, setting up furnished rental and lease properties and training executive assistants how to work effectively in a relaxed home environment. Our projects are never finished until we show how to easily maintain the reconstructed areas so clients can savor the spaces for a long time. With our uniquely tailored, time-proven processes, your organizing challenges become triumphs! We suggest that you invest in your space---make it beautiful, functional and truly a special place that enables you to succeed and relax. We serve all of Southern California and travel as necessary. We premiered our blog in July, 2005 to focus on people with full lives who enjoy discerning palates. We provide education, routines and rituals commentary, highlight products and procedures we love, share testimonials, and write about celebrities who publically share their organizational challenges in the media. We are honored to have been featured in DailyCandy, The Los Angeles Times, The Huffington Post, Better Homes & Gardens, Women's Wear Daily (WDD), Woman's World Magazine, Business Week Magazine, Instinct Magazine, Orange County Register, Self Magazine, Estates West Magazine, KCBS, KABC, KCAL-TV Los Angeles, Scripps Broadcast Television and Martha Stewart Living Radio. John also serves as expert contributor to Perez Hilton's healthy living site, FitPerez . In October 2008, John Trosko became a contributing author to "The Experts' Guide to Doing Things Faster: 100 Ways To Make Life More Efficient" published by Clarkson Potter, a division of Random House, Inc. Click here to read more about the book. Coming from an arts management background, our company is active in the Los Angeles arts and design communities. We participate in a variety of fundraising committees, large-scale organizing makeovers and donate our services to organizations in-need including Friends of Greystone Estate, fresh stART, American Cinematheque, Project Angel Food's Devine Design, The Los Angeles Ronald McDonald House, Covenant House, Wonderland Avenue School, West Hollywood Elementary School, and Clare Foundation's Recovery Home for Women. For more information about our charitable and pro bono activities, visit our url www.organizationwithheart.com. John has been a member of the National Association of Professional Organizers (NAPO) since 2004, earned membership in NAPO's prestigious "Golden Circle" and awarded the President's "Shining Star-Award" for his contributions to the organizing industry. John served as a two-term Chapter President 2007-2009 for the Los Angeles Chapter and was awarded "Most Innovative Organizer" at the Los Angeles Organizing Awards, an industry-wide red carpet celebration John co-founded. Following service as President of one of the largest Chapters of NAPO, John joined the NAPO National Chapter Relations Committee, where he evolved a leaders and mentors program for 3-dozen chapter Presidents around the United States. Click here for more information. If you are a member of the Media, please contact us directly. We will be pleased to develop a story about organizing, clutter, hoarding or general issues relating to efficiently/productivity in a compelling, and timely fashion. Our phone number in Los Angeles is (323) 512-7039. We should be able to find a suitable Client, or on-camera testimonial in your appropriate demographic. We are highly-skilled in organizing all areas of the home and business, or we will be happy to source another specialized professional who meets your needs. If you are interested in John Trosko’s writing talents, please contact him directly at the phone number above, or by using the e-mail option above. If you have a product or resource you feel would be of benefit to our OrganizingLA Blog readership, please contact John at the number above. Like what you see? Enter your email below to receive our blog topics delivered to your in-box as soon as they're published.